Realme was officially established on May 4th, 2018 (National Youth Day of China) by its founder Sky Li together with a bunch of young people who have rich experience in the smartphone industry across countries. 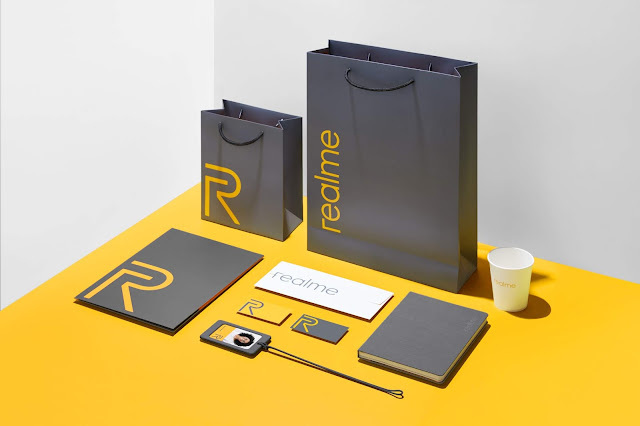 Realme, a smartphone brand that is proud to be young and is dedicated to creating high-quality experiences for young people, announced today, that it has fully upgraded its brand visual image and materials, and released its brand-new peripheral products including sweaters, T-shirts, and office supplies. The brand-new "R" logo and the compact design bring out the best in each other, which are more consistent with Realme’s position in the sense of design as a young brand. Realme has selected durable and eco-friendly design materials for Realme office supplies, giving equal weight to fashion design and pragmatism to better satisfy various demands of young people both in work and life. Moreover, Realme has also considered the aesthetic demands of young people and adopted extremely comfortable fabrics for Realme hoodies and T-shirts. The brand has launched two options of Realme Yellow and Realme Grey for young people to choose, so that they can show their young attitude with clothes accessories and be “Proud To Be Young” at any time and place.